Every society throughout history has defined what counts as work and what doesn't. And more often than not, those lines of demarcation are inextricable from considerations of gender. What Is Work? 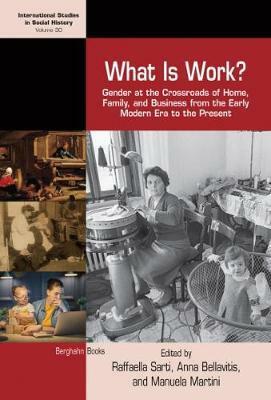 offers a multi-disciplinary approach to understanding labor within the highly gendered realm of household economies. Drawing from scholarship on gender history, economic sociology, family history, civil law, and feminist economics, these essays explore the changing and often contested boundaries between what was and is considered work in different Euro-American contexts over several centuries, with an eye to the ambiguities and biases that have shaped mainstream conceptions of work across all social sectors. Raffaella Sarti teaches Early Modern History and Gender History at the University of Urbino. Anna Bellavitis is Full Professor of Early Modern History at the University of Rouen-Normandy and senior member of the Institut Universitaire de France. Manuela Martini is Associate Professor of Modern History at the University Paris Diderot.